First Line: I barely had time to slide my hotel key card into the slot before a loud crash, thud, and clatter set my heart racing. Former Miami judge Sylvia Thorn's heart should be racing. She let herself be railroaded into accompanying her mother's seniors group, the Florida Flippers, to a weekend of fun in Laughlin, Nevada, and Oatman, Arizona, and they haven't even settled into their hotel rooms before a body is found in one of them. The seventy- and eighty-somethings are excited because of the body found in Sarah Pringle's bathtub, and they're all set to investigate the murder. That first night all the Flippers run around the casino asking questions while Sylvia has the feeling that Sandra and her roommate Patsy know more than they're letting on. Sure enough, next morning finds Sandra missing. And speaking of feelings, Sylvia's brother Willie is in Florida, and he can feel that his sister's in trouble. Nothing doing but he and their father hop the next flight out. The stage is now set for all kinds of goings on. 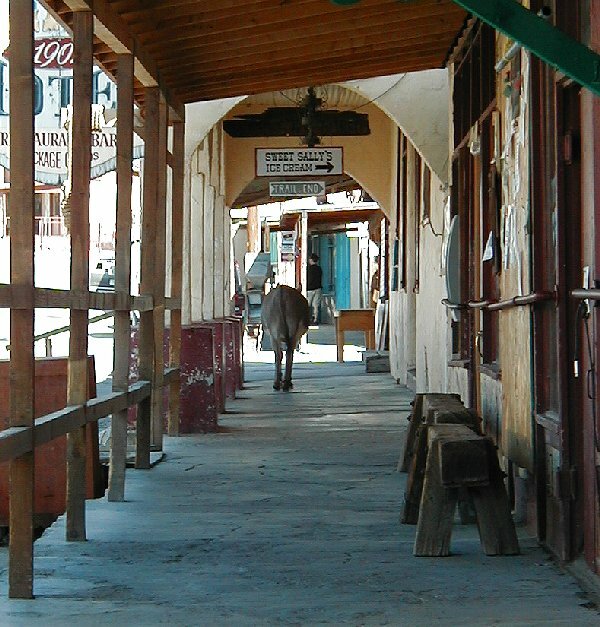 Sylvia and the Flippers go to Oatman, Arizona. By this time, Sylvia realizes that she's signed on to herd excited cats. When their tour of a nearby gold mine is ruined by a grisly discovery, the ladies are more willing to settle down and listen to the local police and an FBI agent who is now on the scene. The Flippers are in danger, and Sylvia knows she's going to have to work hard to keep them all accounted for... and safe. The situation doesn't necessarily improve when Willie and their father show up. 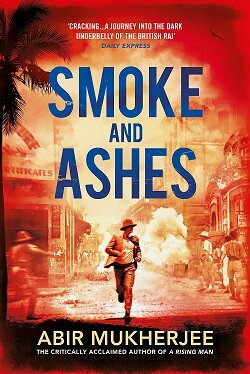 I enjoyed this book with all its elements of the Keystone Kops. Anyone who's spent any time at all with a group of spry senior citizens knows the probable outcome if said group is on vacation and smack dab in the middle of a murder investigation. Stoltey had me caught between bouts of laughter and frustration as those "little old ladies" went to work. Any time the action took place in Oatman, I was even happier. I've been to this old mining town on Route 66 several times, and Stoltey really captured its ambiance. The cast of characters in this book is so good. The Flippers are a hoot, and Sylvia is a level-headed woman who doesn't panic-- even though she does need to learn to relax more. Sylvia's brother, Willie, is also a wonderful character who adds so much to the book. A Vietnam veteran, Willie suffers from post-traumatic stress disorder, but he's learned how to deal with it and has made a good life for himself. He also happens to be a bit psychic, which can be both a blessing and a curse for his sister, depending on the circumstances. I couldn't help but wish there was a tiny bit more to The Desert Hedge Murders as I read. In one scene, Sylvia is planning a night-time visit to the old gold mine, and all the Flippers start digging through their purses to provide Sylvia's fanny pack with emergency items. The things the Flippers toss at her are funny in and of themselves, but I was envisioning Sylvia stuck down in the mine trying to be MacGyver with all those goodies. Alas, it was not meant to be, probably because Sylvia is Sylvia, not MacGyver, and she doesn't need to imitate anyone else. This book-- minus my wishful thinking, thank goodness-- is thoroughly enjoyable. Read for yourself! Cathy - Oh, I'm so glad you enjoyed this book! Isn't the cast of characters great!? I like the humour that runs through the novel, too, although I also like the way it doesn't take away from the fact that this is a set of murders. Still, the humour's well done. Burros! Yes, she does an excellent job of balancing the humor and the murder investigation! 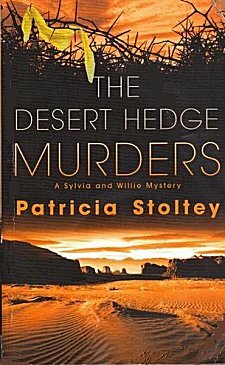 The Desert Hedge Murders sounds like it might be interesting! 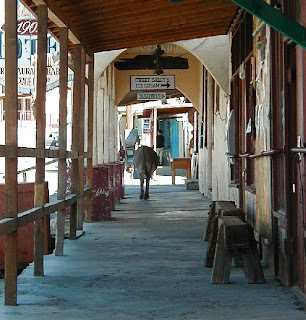 The Florida Flippers herding cats among the burros of Oatman. I've got to read this book! I love Oatman and Route 66! Glad to hear you like one of my favorite places, Barbara. 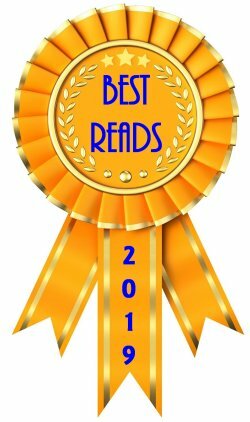 Please read the book; I know you'll enjoy it! 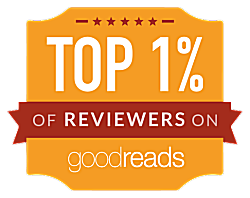 Cathy, thanks so much for reviewing The Desert Hedge Murders -- it was a lot of fun to write, although I have to say that mixing murder and humor was a tough project. I can see where trying to balance murder and humor would be tough. You did a wonderful job! I enjoyed this book a few months ago. Since then I've read other murder mysteries, something i typically have left off my shelf. I am lookin forward to Ms. Stoltey's next book! 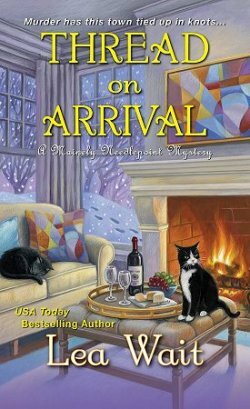 There are a lot of excellent mysteries out there, Dean, and you're not the only one looking forward to the next book from Patricia Stoltey! It is, June-- and the mystery itself is a good'un! This sounds like a fun mystery - my favourite type of comfort read. Thanks for bringing to my attention! The burros and I had a 'personal' encounter (meeting!) when we went to the Oatman Bed Races one year. (Grins!) What a fun recommend! Thanks for sharing. You're welcome, Gaye. And I'd love to hear about your personal encounter!